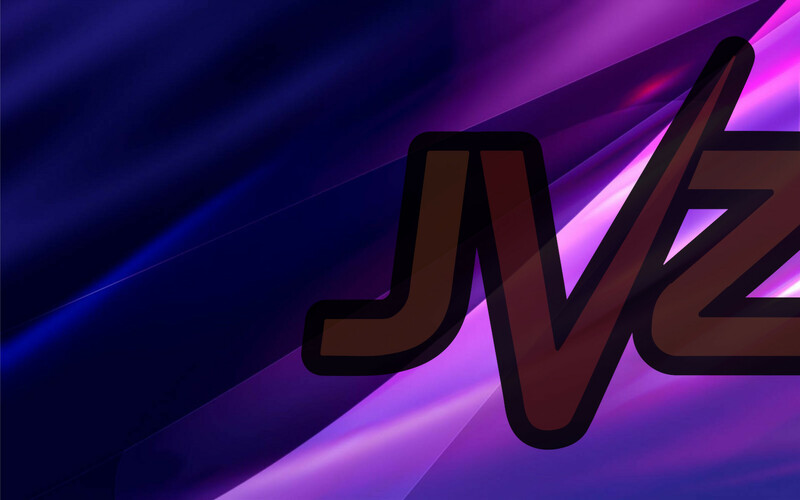 It’s time again to shine the spotlight on one of JVZoo’s very distinguished users. Today we are speaking to Gaurav Madaan, who has successfully navigated the internet marketing waters to reach many personal and professional milestones during his online career so far. In today’s interview, you will learn how he has taken what seemed at one time to be an impossible dream of becoming an online entrepreneur and made it a reality, AND discover the one thing Gaurav cannot live without during a product launch! JVZoo: Hi, Gaurav! Tell us a little about yourself! GM: My Name is Gaurav Madaan, I am an entrepreneur with key expertise in marketing and content. I have been in the industry for 5 Years and have trained more than 3000+ professionals in the space of Internet Marketing. Other than that, I, along with my Team, have launched 2 SAAS products and generated over $500,000 in sales as a Vendor. 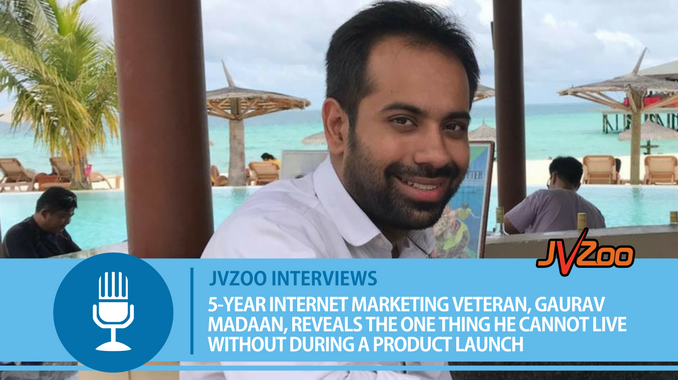 JVZoo: How long have you been involved in affiliate marketing? GM: Back in 2013, I saw a video online where the Instructor was claiming to have done $10,000 in commissions in 1 month. That is the time when I decided that I wanted to see how Affiliate Marketing works and make it a profession. It looked impossible back then (Earning $10k in a day), but today I know that’s not even 1 day’s earnings for most of the Top Affiliates. JVZoo: How long have you been working online? GM: I started in the true sense back in 2013 with a Tech blog named ‘Geekotech’ and today it’s one of my companies 🙂 It’s been 5 Years (all in) in the profession. Though I started doing Affiliate Marketing full time in 2015. In my initial days, I did lots of Offline Consulting for brands across India. JVZoo: What kind of obstacles did you have to overcome in order to pursue this method of earning income? GM: I would say that there were lots of obstacles in my journey, though one that I could highlight is lack of guidance. I could not find a mentor early in my life to guide me through the journey. I had to stumble across things by myself. JVZoo: What is your preferred niche and how did you choose it? GM: My preferred Niche is MMO (Make Money Online) at a broader level and Social Media Marketing at a narrower scale. It just keeps getting better and bigger with every sunrise. JVZoo: What advice would you give someone who is just getting started as a vendor and/or as an affiliate? GM: I would suggest for you to build your email list by giving something for FREE in exchange for their email if you are just getting started as an Affiliate. And if you starting as a Vendor, then build a Prelaunch List. In both cases, the responsive targeted leads do wonders. GM: If I were to start again, I would build scalable evergreen long-term Self Propelling Affiliate Funnels. It simply means that I would build something that does not need work over and over again. GM: There have been a number of moments where I felt I have achieved a Milestone. But one that particularly stands out is an Affiliate Promotion which I did to my Indian List with the help of a Webinar in 2015. I was able to pull out a promo of $7000 with the help of that Webinar. That was the wonder moment for me as I never thought that people in India would buy with that intensity. JVZoo: How did you learn the ins and outs of internet marketing? GM: Particularly in the Internet Industry, I never had a true mentor. I have stumbled my way through different courses and each one has been really valuable. All I can say is, I would have reached this stage a little earlier – if there were a mentor. Mentorship is a really important part of one’s Life and you should have one if you can find one. JVZoo: How do you utilize JVZoo in your affiliate marketing pursuits? GM: For the last 2 Years, I have been an Affiliate and a Vendor on JVZoo. As a Vendor, most of our revenue for our own products comes through JVZoo Affiliates. It has been a true game changer and has helped us to scale our business without having to worry about all the technicalities. JVZoo: What are you currently working on? GM: We are currently working on scaling our existing projects and doing good trainings around them so that it helps people to grow their business in a right-guided manner. I am also partnering up with other new vendors to help them set up their own SAAS businesses. JVZoo: And, finally, what is one thing you cannot live without during a product launch? GM: It’s REMARKETING – One of the things which is highly underestimated. I get my ad straight up and tightened to maximize every click that my partner Affiliates send to me. JVZoo: Thank you, Gaurav, for taking the time to speak to us and share a little bit about your entrepreneurial journey! We can’t wait to see what successes are in store for you in the future! Are you interested in being interviewed and featured on our blog and social media channels? We’d love to share your story, insights, and advice! Let us know by filling out this form and we will be in contact with you soon! 59 replies to "GAURAV MADAAN REVEALS THE ONE THING HE CANNOT LIVE WITHOUT DURING A PRODUCT LAUNCH"
Your journey is truely inspirational sir! Gaurav…. You are the Best Mentor Ever. AND thank you for re-marketing tip. Thank you Nishant, glad i could help! Awesome Gaurav! Love to see you grow! One of the Professional, Dedicated and Sensible Entrepreneur I have ever seen in my life. I have learnt a lot of new things from you, in fact my digital entrepreneurship has started just because of you. I feel blessed to have you as my mentor. You have also come a long way and evolved as a blend of Entrepreneur + Marketer. Keep hustling, i am humbled to have a mentee like you. Thanks Deepak. It’s your Blessings that count. Hey Gaurav Sir, Great to see your interview here. your Tips are really helpful. thank you so much for your Affilerator Training it has been a real eye-opener for me. Thanks Sandeep. Glad you liked the Affilerator Training! Hard and Smart work Gaurav! Really inspiring for so many of us to “Take Action”. Inspiring Work Experience Gaurav. Hope to Emulate some shiny part on myself soon. Kudos and Keep Up the Good Work. I am always there, just ask ! I am hopeful you will shine soon too. Just keep hustling ! Who would not like to be interviewed! Well this inspires to those beginner’s like me to make a move a have a belief that it is evergreen…. Many Hearty Congratulations Gaurav Madaan. Thank you Mashkoor and Yes this is a way of Life for many across the Globe. JVZoo powers that belief and makes it a reality. Keep Hustling ! When I was reading this interview, I feel very conneced because I’m also facing these problems and yes, these problems are realistic… Desperately, Looking for a mentor who can guide me and waiting to start my full-time career in digital marketing.. Yes, Mentors are really hard to find indeed. But keep looking, you will never know when someone says Yes to mentor you. Keep Asking without the doubt of a Refusal ! you are absolutely right about mentor. Just signing up for affilerator training. Looking forward to see you inside Affilerator Community soon! Great interview Gaurav, nice to read about the great journey you had so far. Finding a mentor helped me to get a grasp of what’s involved in starting an online business, turn my ideas into products and get to know people that I would otherwise never have known. I highly recommend it to anyone who wants to shorten their learning curve. Great Person and A great mentor for us. Read Every single line , feel motivated. Thank you Abhishek, Glad my words made you feel motivated. Thanks Gaurav for the great details. You are always an inspiration. Keep Inspiring us !! We learn lot from other, you are one of them. Thanks Balendu. I am happy to see you learning and Growing ! Congratulations Gaurav on your success and wishing you the very best for your future launches. Currently I am working as a PPC and Social Media Specialist in a reputed firm. And that’s all because of you and your training. I had learned many things from you. And I was also your trainee at DSIM. I’m really feeling so proud for you. And I know that many more exciting moments are still waiting for their perfect time to come in your journey of MMO. Glad to see you grow Ashok. A really wonderful journey and sharing invaluable insights. Thank you Bhaiya. Long way to go! Great Job Guarav! Great interview! Sure, lets connect over. Feel free to message me on my Facebook Page mentioned in the blog. Congrats Sir, It’s really good to know about your journey. Sure, it will work as an inspiration for me. I just started my career in Digital Marketing and your interview gave me a lot of self-confidence. Glad to know that my journey could instil some confidence in you. Keep Hustling, all the way to TOP! Hi I need your help for the activation my JVZOO account please. I think JVZoo support can help in that. Please write to them. Great job sir , Your interview is very much inspirational and very motivational also. Really very wonderful journay and Your tips are very useful anyone of in this world. Thanks for sharing the deep knowledge about Digital Marketing. Thanks for stopping by the blog! We appreciate your feedback! Quite impressed by your talks. You are an inspiration for many, Keep it up, sir. Thank you for stopping by the blog! We appreciate you! very impressive interview. congratulations gourav on your success. Thank you and I’m sure Gourav thanks you as well!